[dropcaps round=”no”]A[/dropcaps]bout the College :The college was established in 3 July 1973. The objective was to facilitate academic pursuits of employees working in various departments during day time. The campus is spread over an area of 100 acres with beautiful landscape, lush green campus and sprawling playgrounds. 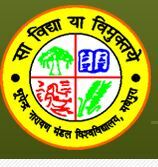 Subsequently, this college was renamed as Araria College, Araria.